New. Trade paperback (US). Glued binding. 409 p. Contains: Illustrations, black & white. New Cambridge Bible Commentary. New. 2008. 1st Edition. Paperback. 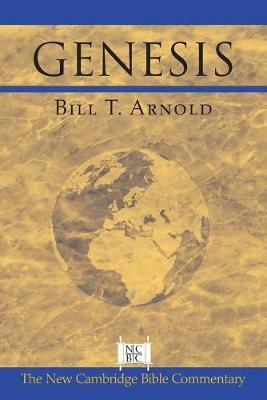 This volume on the book of Genesis is in the New Cambridge Bible Commentary series. Series: New Cambridge Bible Commentary. Num Pages: 432 pages, black & white illustrations. BIC Classification: HRCG. Category: (P) Professional & Vocational; (U) Tertiary Education (US: College). Dimension: 228 x 153 x 25. Weight in Grams: 650. Series: New Cambridge Bible Commentary. 432 pages. This volume on the book of Genesis is in the New Cambridge Bible Commentary series. Cateogry: (P) Professional & Vocational; (U) Tertiary Education (US: College). BIC Classification: HRCG. Dimension: 227 x 153 x 22. Weight: 588......We ship daily from our Bookshop.